Invoice is a financial document which is issued by a seller or a service provider to a customer and comprises of details of the products bought or services rendered and the amount payable. Using invoice forms make it easier to list down this information in a systematic and orderly manner. These forms also act as records can be filed away to be referred to on a later date. Thus, invoice forms simplify all transactions and ensure that the details are properly tabulated. As the name indicates, this invoice form is blank and can be used by any person irrespective of his nature of business. This invoice template follows the desired format and helps the user to list the financial details of a transaction in a systematic way. 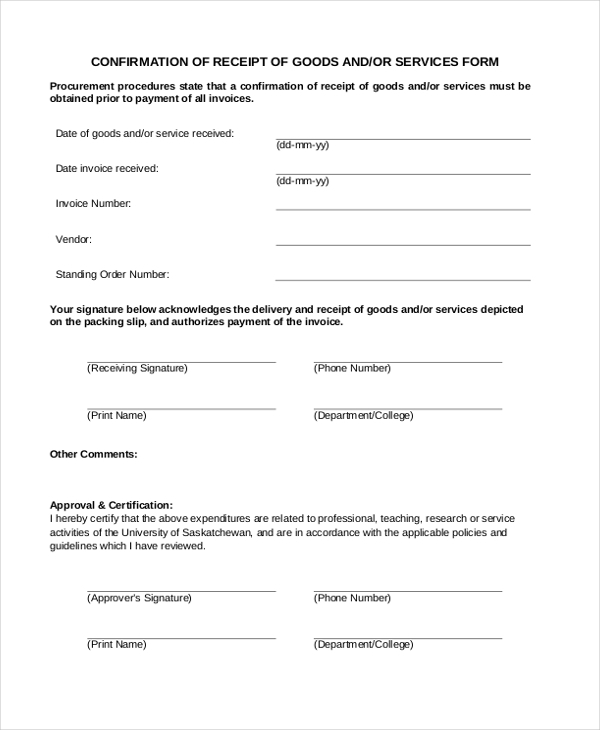 This form is used by business organizations to generate an invoice for their customers to give them a detailed summary of the products bought by them and the amount that they are liable to pay. 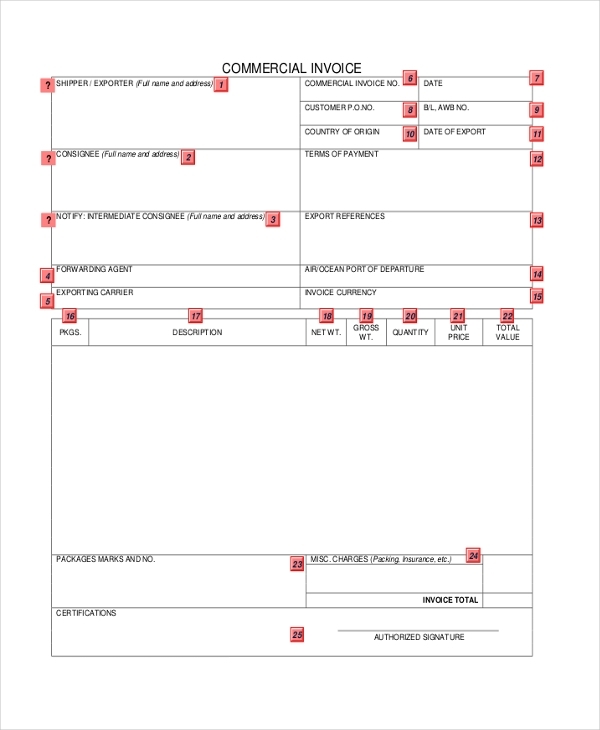 This invoice form can be used by any contractor irrespective the nature of his service. 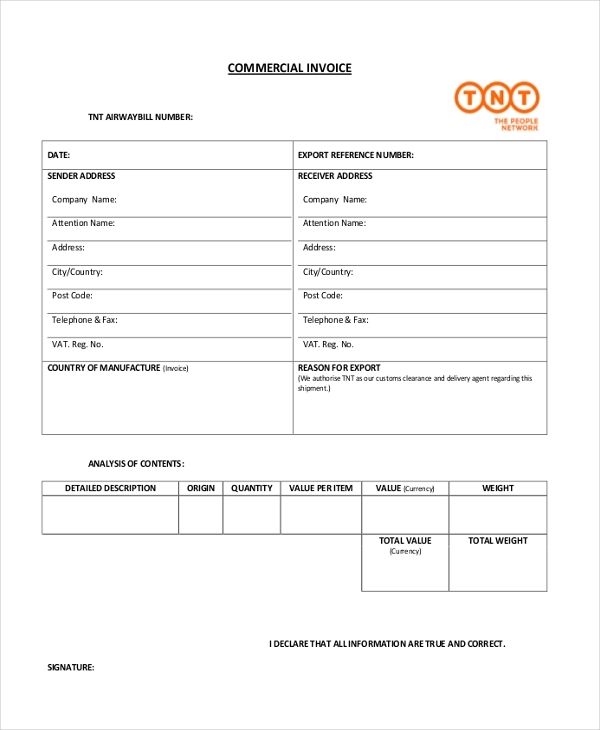 He can use this form to generate an invoice to inform his client about the services rendered by him and the amount payable. 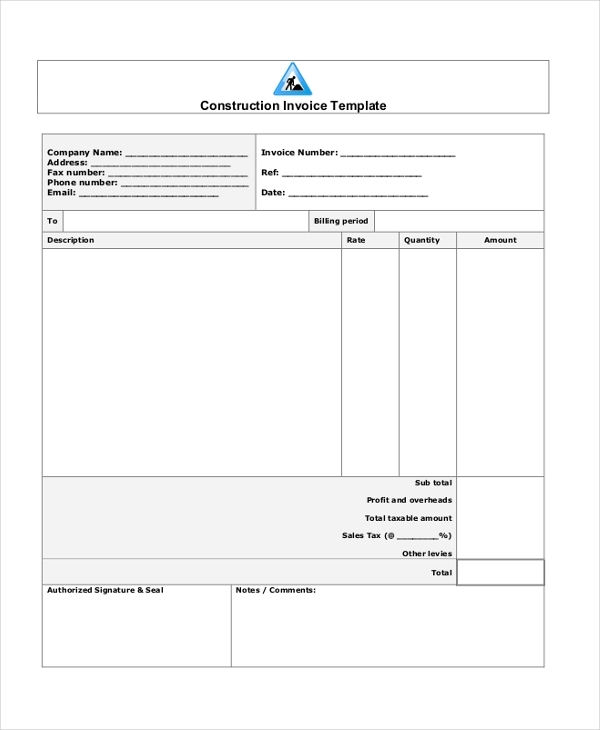 This form is usually used by construction contractors. They use this form to inform their client about the services rendered by them, expenses that they may have incurred and the total amount that the client is liable to pay. 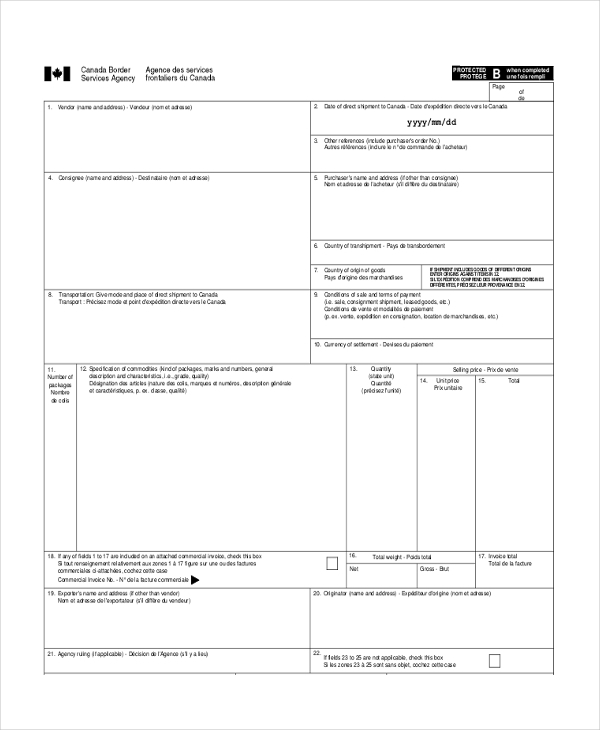 Business organizations use this form to generate an invoice for the products that they may be exporting to international shores. This form comes in handy when the customs department wishes to know the content and value of the consignment. 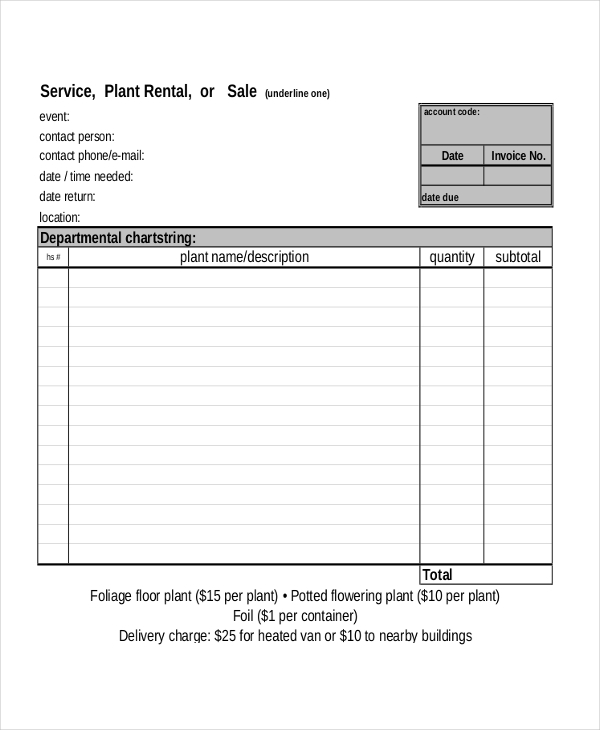 This is a standard invoice form that gives the user an idea about the format that should be followed. It contains all the important segments. Thus, the user can use this form just as it is or make changes to it as per his needs. 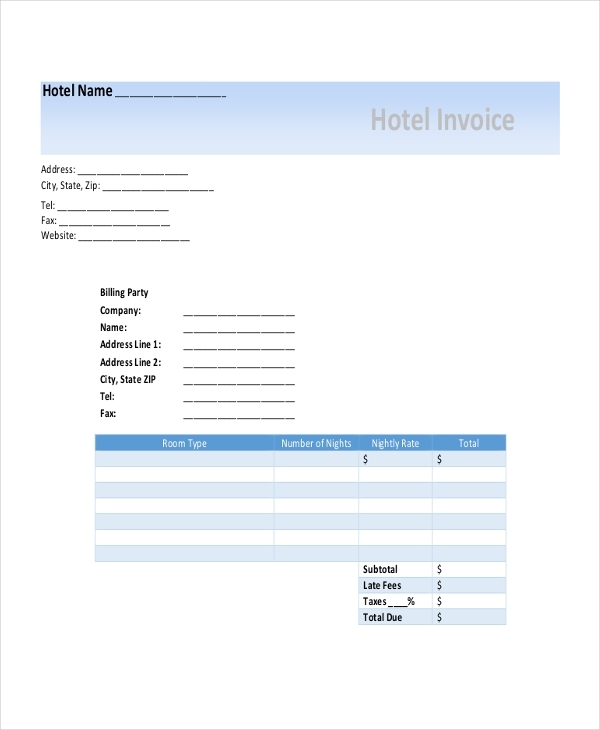 Hotels use this form to generate an invoice for their customers when they check out from the hotel. In this invoice form the hotel list down the rent of the room and other services availed by the guest along with the total amount payable. 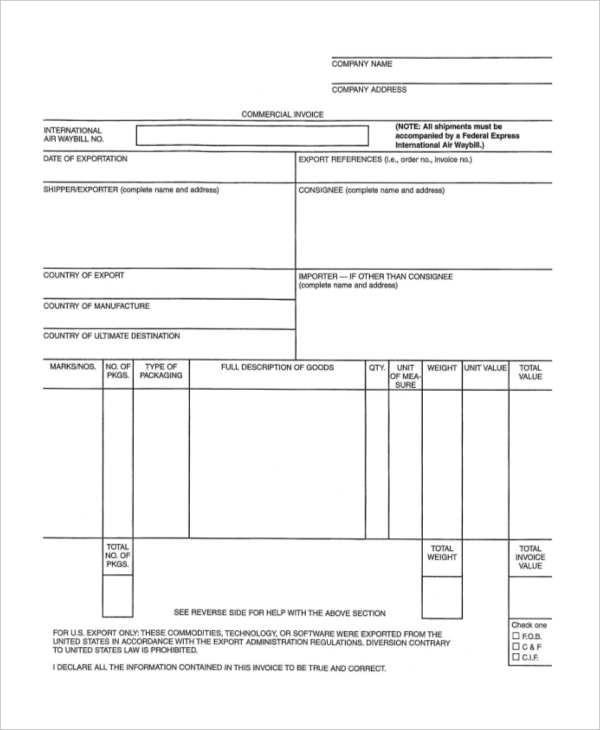 This form is used by a contractor who may have offered his services to an organization or a person. 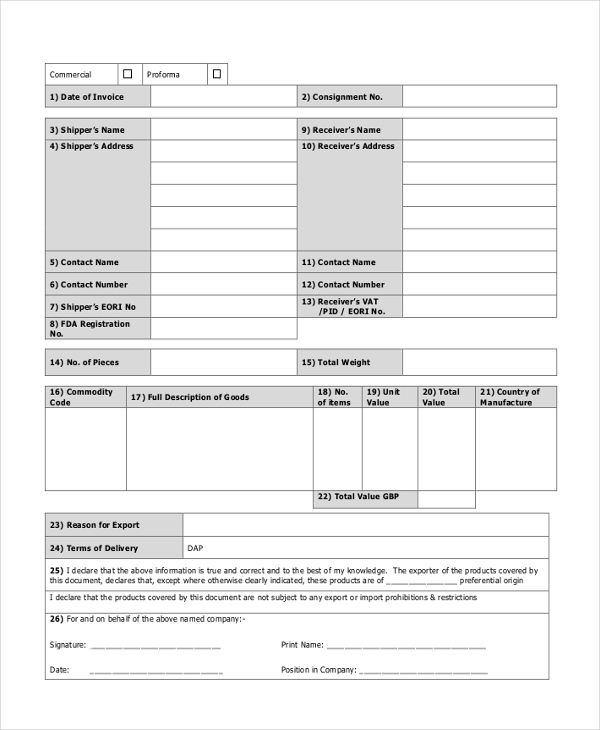 Using this form the contractor can list the details of the job done by him and the total amount that the client is liable to pay to him. When a person intends to claim his payment from a client, he can use this form to stake a claim for the amount due. In this form, he can list the products or services offered by him to the client. This form is used by a photographer to raise a claim for the photography services that he may have offered to a customer. In the form, he can mention the details of the event, services rendered and total amount due. Apartment owners or Property owners use this form to generate an invoice to collect the rent for a property which they may have rented out on a daily, weekly or monthly basis. In the form the owner can list down the details of the services that add up to the rent. 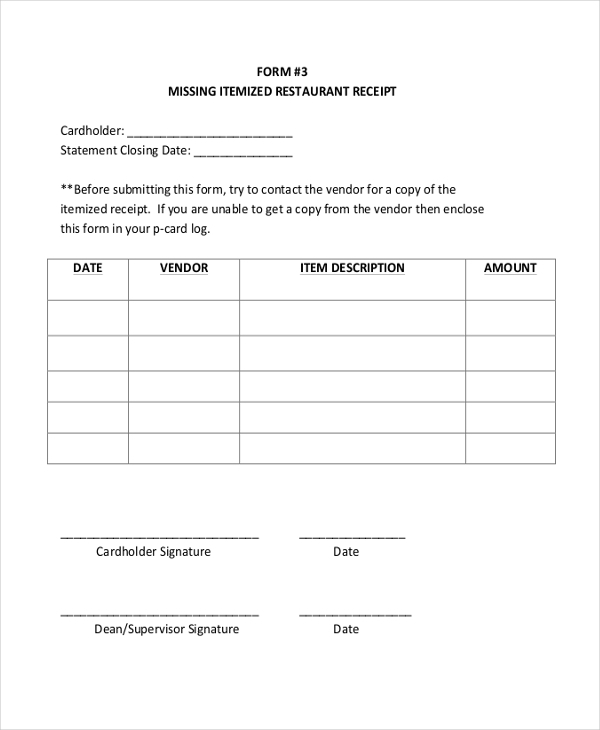 As the name indicates, this form is used by a restaurant to generate a bill for the food and beverages consumed by the customer. The restaurant manager lists down the names of the items that the customer may have ordered at the restaurant. 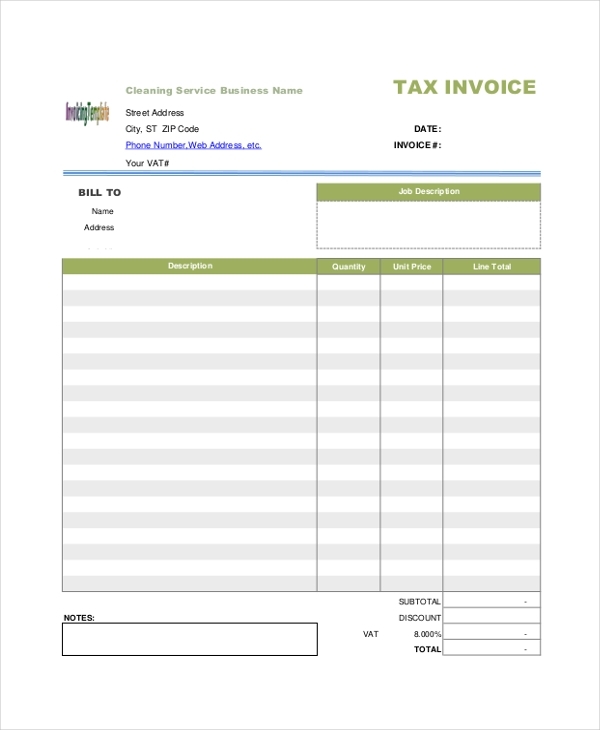 Business organizations and stores use this form to generate an invoice that describes a whole sales transaction to the client. 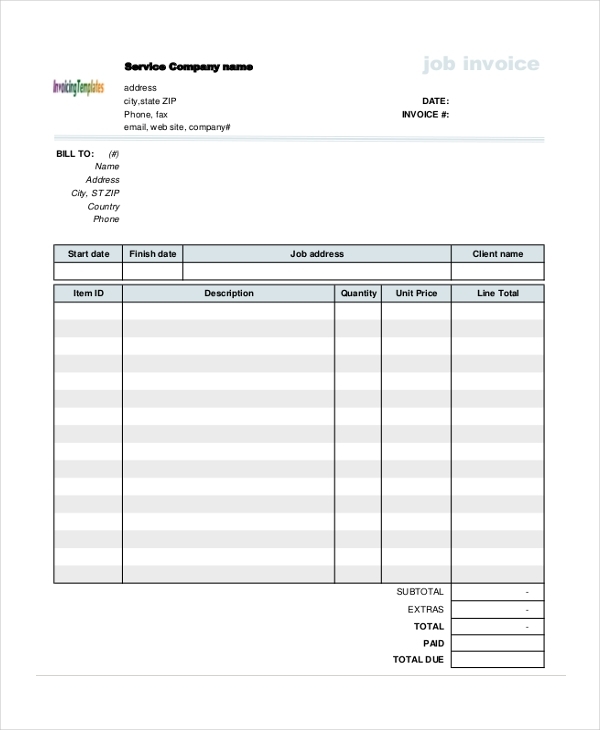 In this business invoice template, the details of the products sold, their rate, quantity and total amount payable are listed. 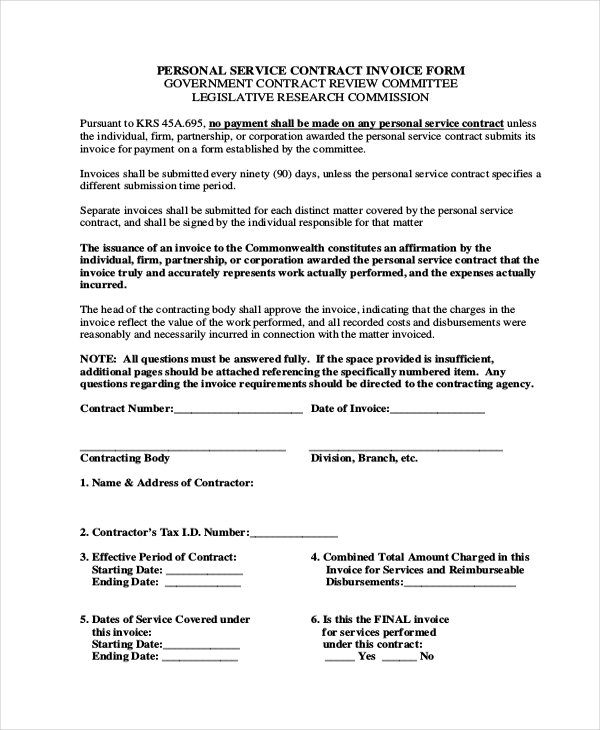 This form is used by a service agency or a contractor to stake a claim on the amount that a customer may be liable to pay in lieu of the services rendered. The user is required to fill in the details of the services offered. 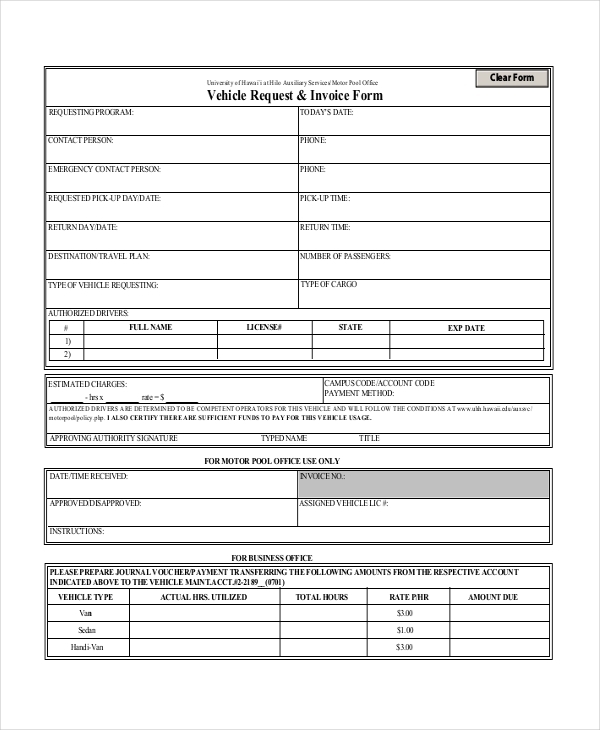 This form is used by a vehicle dealer or showroom to generate an invoice against the sale of a vehicle. The person enters the details of the vehicle in the form along with the accessories and total amount payable, in this form. When a customer receives an invoice from a business organization or a contractor, he verifies it. 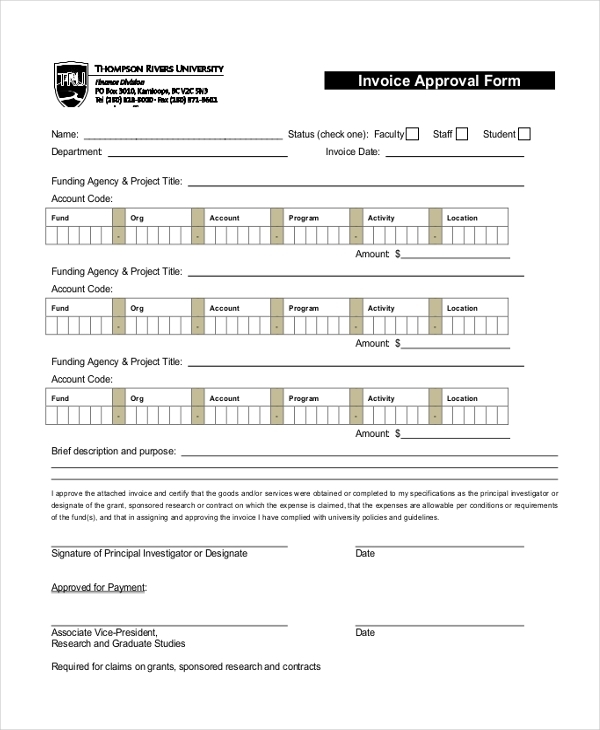 Once he satisfied with the invoice he can use this form to approve it and then send it to the contractor or the organization. 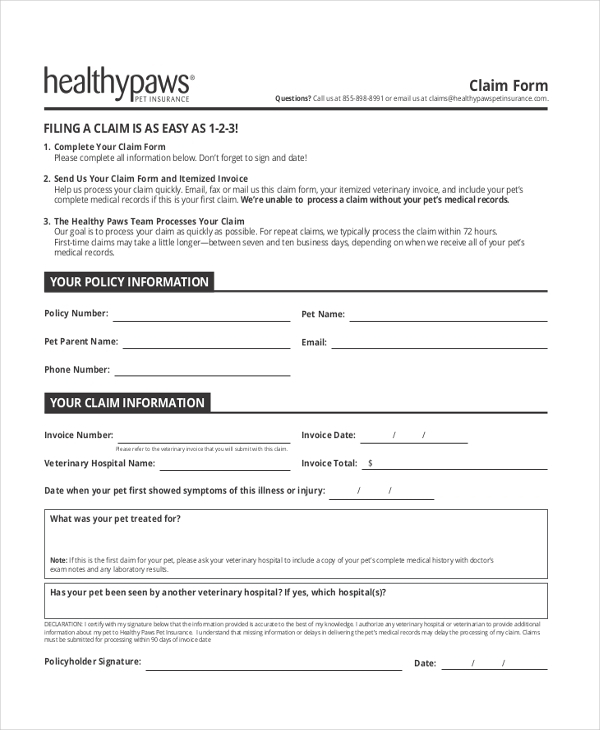 This form is usually used by health insurance agencies to enable their customers to make a claim against their policy. In this form, they are required to fill in the details of the invoice offered by the hospital. Usually, when a customer verifies an invoice and comes across some discrepancy, he can use this form to cancel the invoice. In the form, he needs to describe the reason for the cancellation and other details. 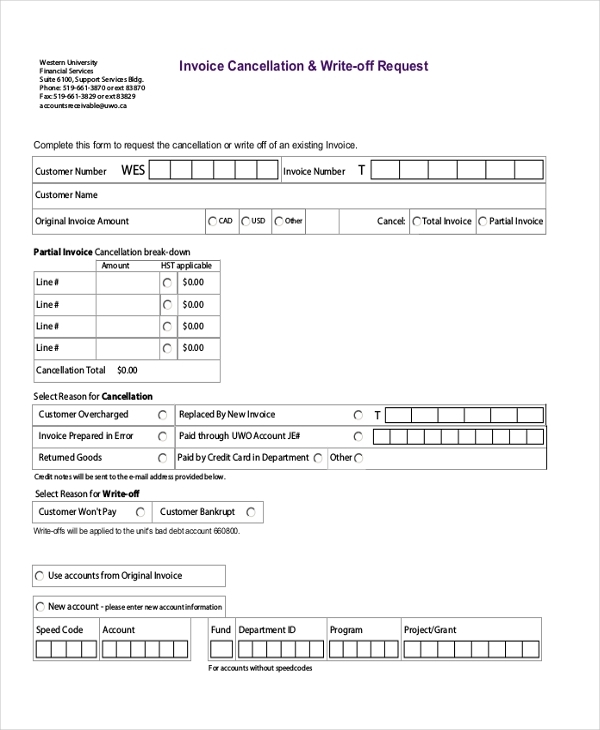 This form is used by a customer to confirm that the delivery of the goods made matches with the invoice sent. By filling in this form he confirms to the invoice and promises to make the payment in due course. What are the Benefits of Using Invoice Forms? These invoice forms can be customized by the user as per his or her requirements. However, if the user wishes, these forms can be used just as they are. 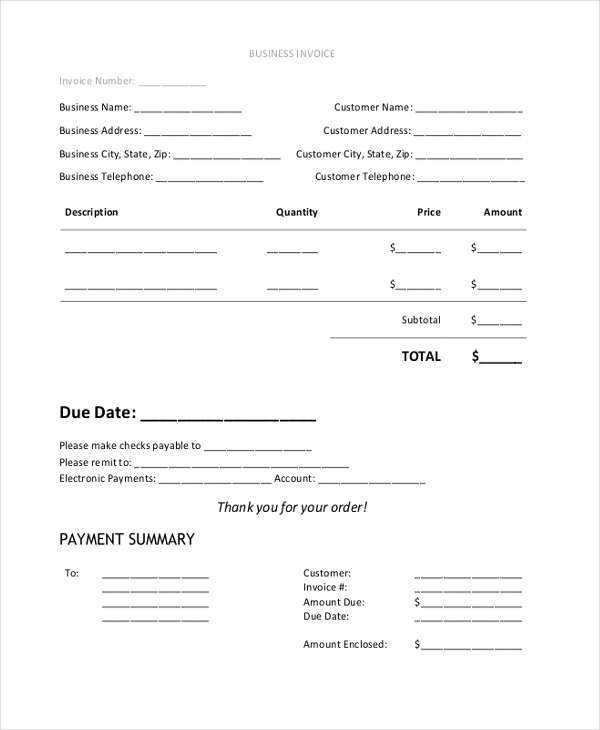 Need help to design an invoice form for your business? 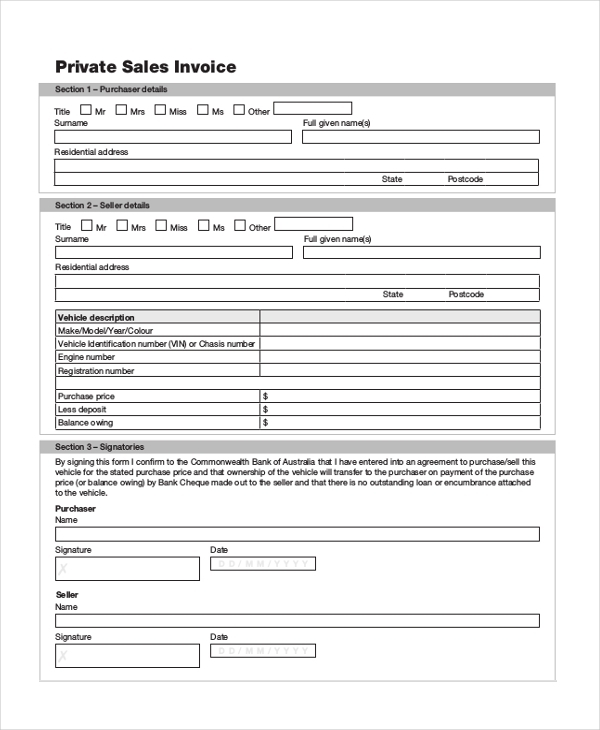 Why not take a look at the collection of invoice forms that we have to offer. You are sure to find one that would be apt for your needs. Easy to download and customize, these print-ready forms will save you a lot of time and are well within your budget.